A gay nightclub in Orlando has become the site of the worst mass shooting in U.S. history, with 50 casualties and 53 injured. The massacre, which has been classified as a terrorist attack, took place in the early hours of Sunday, June 12. 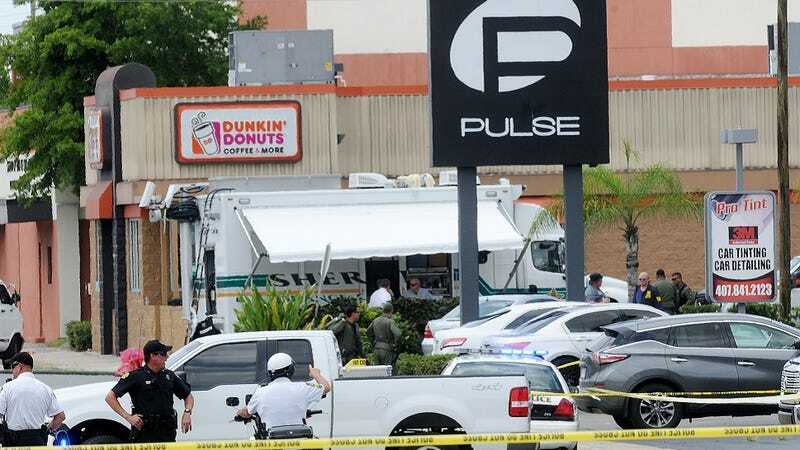 The perpetrator of the attack—identified as Omar Mateen, 29—opened fire at the nightclub Pulse, and took hostages before he was gunned down by members of a SWAT team three hours after entering the establishment. The shooting also occurred during Pride Month, a nationally recognized celebration of LGBT history and culture, as well as a commemoration of the Stonewall riots, which are seen as the watershed moment of the LGBT Civil Rights movement. According to sources, Mateen purportedly pledged his allegiance to the jihadist militant group ISIS (also known as ISIL) during a phone call he made to authorities prior to the shooting, as per NBC News. “What I’ve heard from the Department of Homeland Security this morning is that, according to local police, he made a pledge of allegiance to ISIL,” said congressman Adam Schiff, a ranking member of the House Intelligence Committee, during an interview with CNN. Despite confirmation of Mateen’s ties to extremist, jihadist ideology, his father, Mir Seddique, told reporters that this was not the case. “[This] has nothing to do with religion,” he said. Seddique also noted that the attack was possibly incited by an incident that occurred two months ago, wherein Mateen became enraged after seeing two men kissing in Miami. “We are saying we are apologizing for the whole incident. We weren’t aware of any action he is taking. We are in shock like the whole country,” Seddique added.